The newly opened Pinkerton Tunnel is your first of several tunnels on the GAP (use caution entering and exiting!). Ride across the Salisbury Viaduct and take a moment to pause and enjoy the spectacular view. 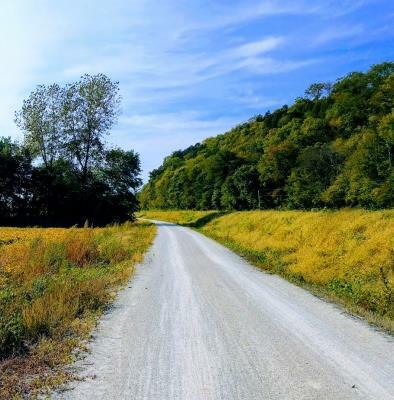 The trail towns of Rockwood and Meyersdale both offer great lunch options. 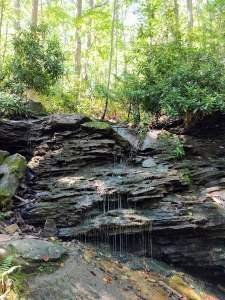 In the afternoon you’ll encounter the Big Savage Tunnel and incredible views at the top of the Eastern Continental Divide – you can see three states on clear days! 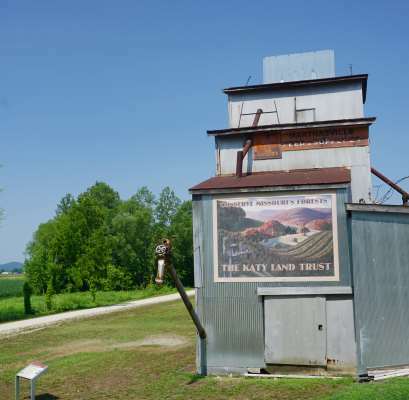 Ride the last 20 miles of gentle downhill (1.75% grade) while following alongside the Maryland Scenic Railroad line; watch for the historic steam engines which still runs on some days. Riding out of Canal Place in Cumberland, you are now entering the C&O Canal Towpath. 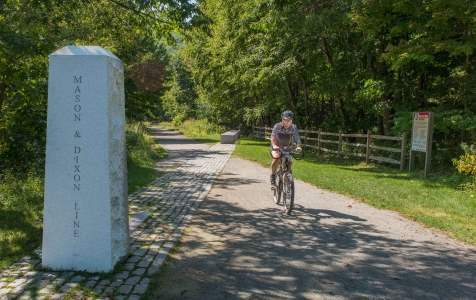 The towpath was a historic engineering marvel, and you’ll see why as you ride its 185 length. The Paw Paw Tunnel is a particular highlight of your ride today (be sure to have a light) and perfect for photos ops. 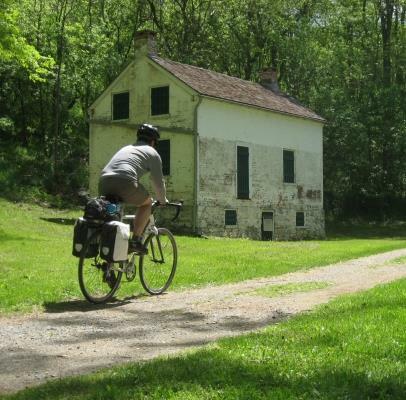 In the afternoon you can choose to ride on the Western Maryland Rail Trail, which parallels the C&O into the town of Hancock. Start the day riding either the towpath or the WMRT. History enthusiasts may want to make a quick stop at the reconstructed 18th century Fort Frederick this morning. 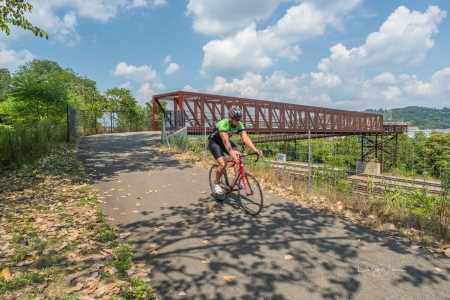 Ride into Williamsport for lunch (or grab a sandwich to go). The Big Slackwater section (around MM 85) is unique on the towpath as you ride on a cantilevered concrete path above the Potomac River. 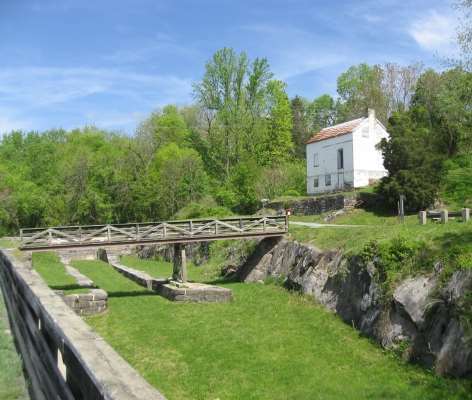 Today you’re entering the heart of Civil War history and will end the day in Shepherdstown, Wv., just across the Potomac from Sharpsburg, Va. and Antietam National Battlefield. 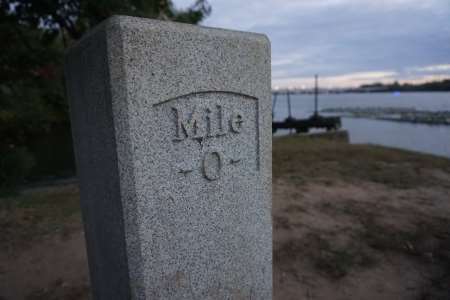 Civil War buffs will want to take a half-day to visit the battlefield – biking is allowed in the park. This trip includes lodging for 6 nights and 6 breakfasts, 1 lunch. Bike rental can be included in this trip (Pittsburgh start only) at $200/bike. If you will not be returning to Pittsburgh, there is a D.C. drop-off fee of $99/bike with a secure location (such as a hotel) or $125/bike if our shuttle must meet you. Great trip. Very glad we had Bike the GAP set up our self-guided seven day D.C. to Pittsburgh tour. The accommodations were all excellent with an interesting variety of B&Bs and hotel stops. The daily cue sheets were informative and comprehensive. I was impressed with the hospitality of all the villages along the way and how they were all so bike friendly. Tough act to follow! It certainly was a wonderful trip of a lifetime. It certainly was great to work with you especially on the details and the planning and to have your input by email….We were very happy with our accommodations especially considering we were in small town in rural areas of the country. All of the B&B proprietors seemed to be very welcoming and they were all good cooks. Each place was very different but all of them had something that made them very enjoyable. It was a great trip and we were glad and thankful we used Bike the GAP and you. We wouldn’t hesitate to tell other people to go with Bike the GAP and to sign up way in advance to get the best lodging too. The accommodations met expectations, and our hosts exceeded them! Lucy in Connellsville, Frances in Confluence, and Dave at Town Hill were all wonderful, and the breakfasts we were served at each place were the best meals of the day. Fairfield Inn in Cumberland and Comfort Suites in Leesburg were terrific. We deeply appreciated being able to hose off our bike outside, and found all the staff to be bike-friendly and accommodating. Both places were very busy when we checked in, but no one got flustered with us, our bike, or our baggage. Pacing of the trip was perfect for us. We were impressed with how many bike shops we found open right on the trail. Thanks for everything, you helped make possible one of the great trips of our lives.